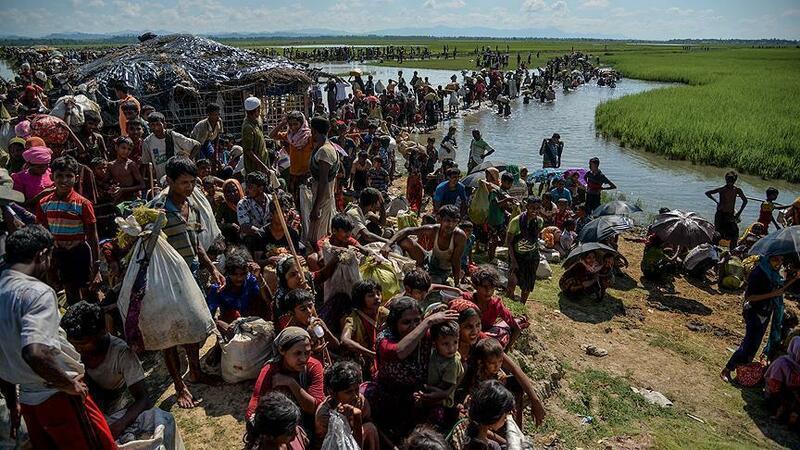 22 Mar 2019 – Bangladesh is once again calling for the establishment of safe zones for the Rohingya in Myanmar, so that it can begin resettling some of the 1 million or so refugees in its care around the district of Cox’s Bazar. This is not the first time that the government in Dhaka has pushed for this. Prime Minister Sheikh Hasina pressed Myanmar on the issue before the U.N. General Assembly in September 2017. Now, Bangladesh’s new foreign minister, Abulkalam Abdul Momen, has started lobbying Russia, China and India, as well as the Organization of Islamic Cooperation, to try to use their influence to persuade Myanmar to establish safe zones within its territory. This effort is pointless and ill advised. Myanmar has no interest in establishing safe zones, and China and Russia have already prevented any such appeals from getting through the U.N. Security Council. Yet these efforts by Bangladesh bode ill nonetheless. Bangladesh’s response to the inflow of Rohingya refugees since mid-2017 has been magnanimous, but reluctantly so. The domestic politics of the refugee situation in Bangladesh have always been difficult. Bangladesh is a poor, very densely populated country. Most Bangladeshis have sympathy for the plight of the Rohingya refugees but are worried about their own futures. They can scarcely imagine how they might also look after the refugees. This has led domestic politicians to gradually harden their position on the refugees over the past couple of years, culminating with the announcement before the U.N. Security Council on March 1 that Bangladesh will no longer take any more refugees from Myanmar. For its part, Myanmar has “honored” its resettlement agreement with Bangladesh by building so-called transit camps for returning refugees — which look eerily similar to World War II concentration camps, with barbed wire, high fences and “security” provided by the very same army that carried out the initial “clearance operations” two years ago. Thankfully, those camps are currently sitting empty, as the Rohingya refuse to trade the safe camps in Bangladesh for the prison camps in Myanmar. Myanmar is not willing to entertain either of those demands, despite their moral and legal force. Instead, Myanmar has offered to regularize the Rohingyas’ status as second-class citizens with identification cards. Yet to get even that much paperwork, the Rohingya are required to accede to the status of “foreigner” in the land of their birth, thus relinquishing their legal claim to equal status. What the Rohingya need is what they are due in international law: equal rights before the law in the country of their birth. This includes full citizenship and freedom of movement, to say nothing of justice and accountability for the crimes against humanity that they have endured. So-called safe zones would provide no such guarantees. And while the government in Naypyidaw remains under the control of those who initiated the original genocide, “safe zones” would just make the Rohingya sitting ducks, at the mercy of people who think they should not exist in Myanmar at all. Under these circumstances, the Rohingya must continue to impose on the hospitality of Bangladesh. This means that if Beijing ever decides that its interests in Bangladesh would be served by supporting the relocation of the Rohingya to Myanmar, it could easily press Naypyidaw to accept the forceful relocation of the Rohingya refugees into the prison camps constructed by the Myanmar government, which told the international community that it was happy to welcome them back. In reality, the Myanmar authorities knew full well that the Rohingya would never return voluntarily unless their own demands are met. And although Cox’s Bazar remains a haven for the refugees, the political trend in Dhaka is worrisome. It is not beyond the realm of possibility that Dhaka might soon begin to take unilateral action to “incentivize” Rohingya refugees to return into the arms of Myanmar by looking to create some kind of “hostile environment” in and around the refugee camps. The international community needs to be alive to the fact that the situation is once again looking to take a turn for the worse, and should intervene to help Bangladesh sustain the refugees and reward it for the good it has done so far.